Borussia Commondale Football Project is a nonprofitable organisation that focusses on promoting and co-ordinating the game of football in Commondale and on Wednesday, 21 March, they received a huge donation from London. 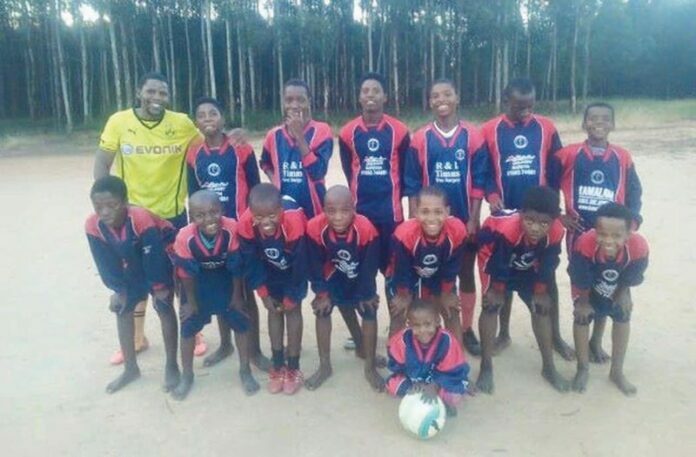 This football school programme is aimed at children aged 6-10 years old and they began with four schools in the Commondale area namely Khula Primary School, Bloemendal Primary School, Kwa- Matshamhlophe Primary School and Moolman Combined School. In 2018, they added another four schools: Moneni Primary School, Mantonga Primary School, Nederland Primary School and Libaba Primary School. The project aims to educate young learners on healthy lifestyles, gender based violence and environmental issues, to name but a few. They coach the children in football and are planning to host a football tournament later this year. On Wednesday, 21 March, the teams received football kits from the Borussia Dortmund London Fan Club and Corpus Christi Church, from Londen and are very excited about this huge sponsorship. Currently teams playing for Borussia Commondale are competing in the Mkhondo Local Football Association Leagues and their results are published with the weekly football news. If you would like to sponsor or contribute towards this football project, kindly contact Muzi Hlatshwayo on 076 222 0547.